Abdominal aortic aneurysm. 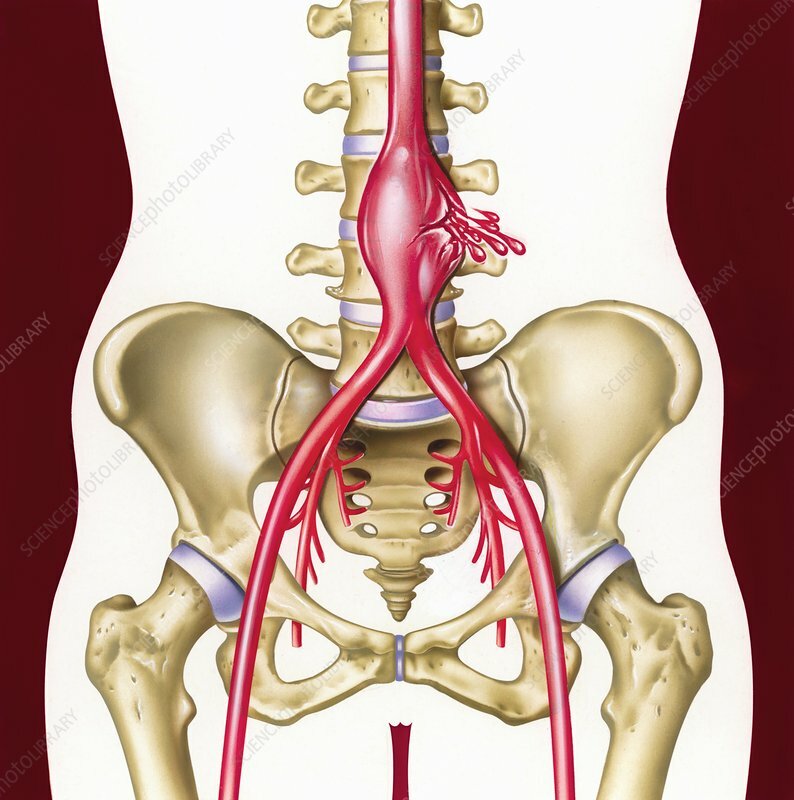 Artwork of an aortic aneurysm rupturing in a patient's abdomen, as seen from the front. The arteries and bones of the lower back, groin and leg, are also shown. The aorta is the body's major artery. An aneurysm is a weakening of the walls of a blood vessel, leading to swelling and rupture. In the aorta, such rupturing is swiftly fatal. If the condition is detected before rupture, surgery is needed to repair the aorta and implant a stent to strengthen its walls.